WordPress is the world’s top CMS. It is famously known for the ease with which even non-technical people can update, edit, and maintain their web sites. WordPress comes with a multitude of ready-made themes, plugins, and widgets. They are quite inexpensive, and for that reason favored by many businesses that want to build their online presence. However, using a provided theme comes at a cost, and in most cases WordPress custom design is a more sensible solution. Here is why. One and Only. The problem with ready-to-use templates is that too many sites use the same limited number of themes. Imagine the situation when a user comes to your site, finds something interesting, and then moves on to other sites. Later they decide to go back to your site, but cannot remember what it was, because all sites in the web browser history use the same theme and therefore look very much alike. In comparison, custom WordPress development helps your site stand out among the crowd. You can add any features that precisely identify your company, and thus bring you more customers. Code Issues. Unfortunately, not all designers and developers understand what clean code is. But it is very important, because it enables search engines to find your site faster. In addition, if your code is clean, it will work well on the most popular browsers and portable devices. If you decide to go for a custom WordPress website, a developer will write clean code for any feature you desire. It is much better than using plugins, which frequently conflict with certain templates. 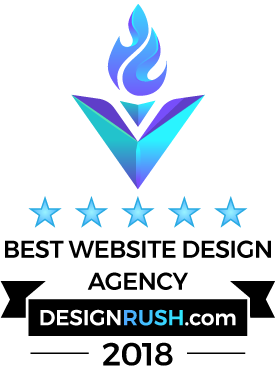 Those are just two reasons why we recommend that you choose custom WordPress design. The developers at our company Web Peppers have extensive experience in creating custom WordPress sites. Place an order with us and you will get a unique, top-quality solution at a moderate price and on time.